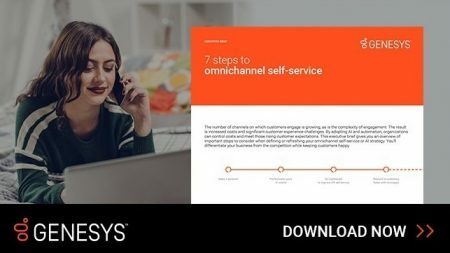 7 Steps to Omnichannel Self-Service: Make it Personal – Automation plays a vital role in enabling omnichannel self-service experiences, but chatbots alone can’t understand everything or perform all tasks that it takes to make a great experience. Combining AI and automation creates a seamless transition between bots and live agents—and a much better experience for your customers. Be the first to comment on "Steps to Omnichannel Self-Service: Make it Personal"